With so many body cooling pads available, one must understand that most body cooling pads advertised on or offline would be considered “passive” non powered products. Passive non powered cooling body pads will provide a temporary cooling effect. Whether the pad is gel filled, water, water based gel filled, or crystal cooled, the cooling feel will progressively diminish as your body heat starts to warm the material inside the pad. The amount of time it will take for these types of pads to start to warm, and no longer feel cool, is based upon a number of contributing factors, such as the particular product being used,one’s own body temperature, and the ambient room temperature. Once these pads have warmed up you will need to allow them to cool back down again by removing the pad from the heat source, in other words your body, for a few hours before they are ready to cool again. These types of “passive”non powered cooling pads can be very effective and provide hours of cooling for some people seeking temporary cool relief. How a Negative Review Is Really a Positive One. 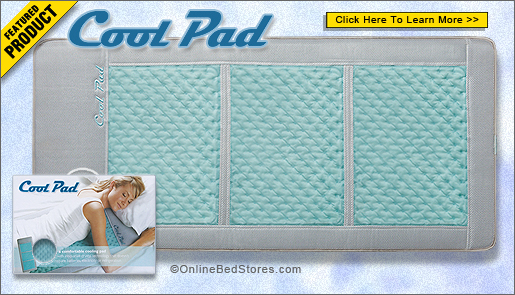 If you are looking for a non powered or “passive” Body cooing pad, you must adopt a realistic expectation about how long this type of body pad will remain cool, there are many variables involved that will determine the duration of the cooling effect such as ambient room temp body heat etc. Under optimal conditions one should expect one to two hours cooling and then the pad should be removed from under your body to allow the pad to cool again, the rule of thumb should be for example 1 hour on the pad, 1 hour off the pad. It is quite humorous reading some reviews about these body cooling pads, it is as if some of these reviewers expected this type of non powered cooling pad to remain cool all night long, these people must have flunked out of basic science in school, it would defy scientific law for a non powered pad to stay cool all night long with a heat source on it like for example your warm body, this would be along the lines of a self-charging perpetual battery, unfortunately we are not quite their yet.